The latest from Pew Research: Half of all social network users share news stories and Facebook has overtaken Google in share of display ad revenue. 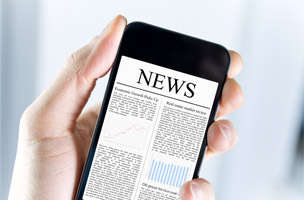 In the 11th edition of the Pew Research Center’s “State of the News Media” report, researchers found that news is a significant part of social media and mobile growth. The evidence offers “opportunity to reach more people with news than ever before,” the report said. One key finding was that one in 10 people on social networks are citizen journalists, posting news videos that they had shot themselves. This trend is closely linked with mobile adoption: As more people carry around smartphones, more people have the tools to capture breaking news when it happens. This is reflected in the news industry as it adapts to the digital age — bystanders are able to capture the news and share it on social media before reporters are even able to get to the scene. 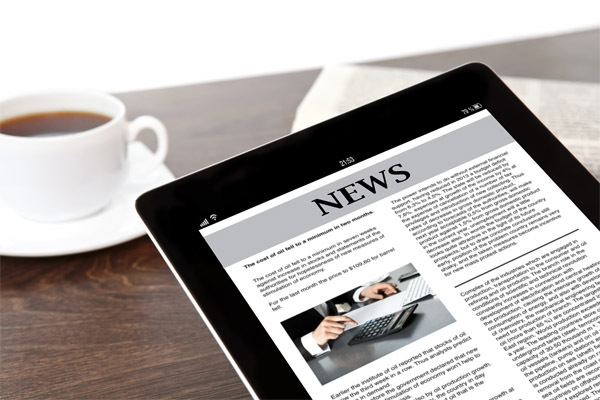 Newsrooms have increased their resources for verifying this type of content. Half of all social network users share or re-post news stories, and 46 percent of them discuss those stories on social sites. However, most of these users are not actually seeking out the news on social media. A previous Pew report found that only 16 percent of Facebook users go to the social platform to get news. A vast majority head there to see what friends and family are up to and they incidentally stumble across news stories of interest. 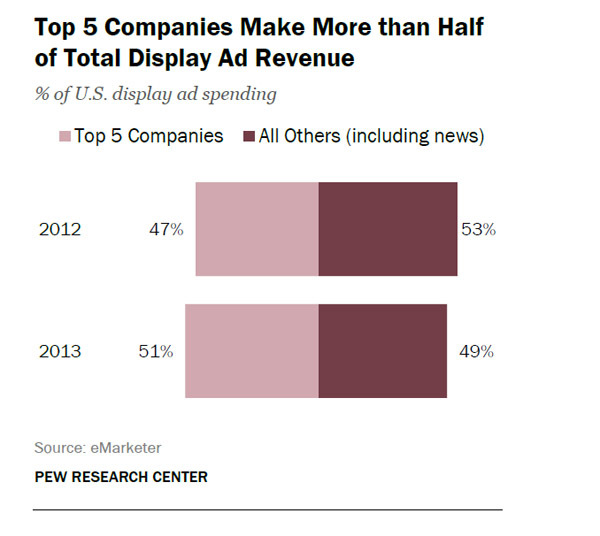 In 2013, digital ad spending increased almost 16 percent compared to the previous year. Although digital rates have not caught up to print, the growth is a good thing for publications across all media. However, the top five companies take up more than half (51 percent) of all display ad revenue, with Facebook overtaking Google in 2013. The social network took in 17.9 percent of display ad revenue, compared to the search engine’s 16.9 percent.